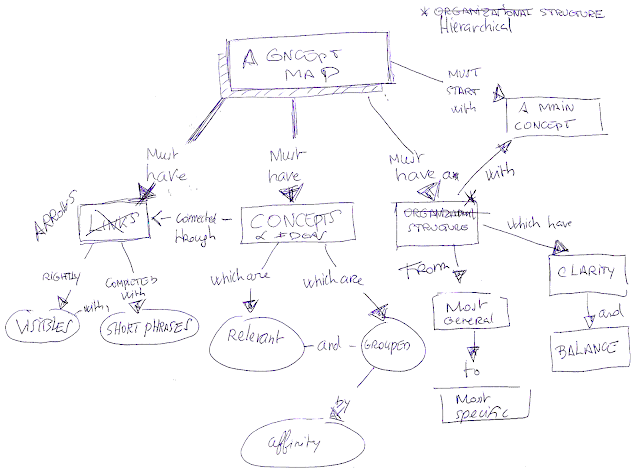 MindGenius is a recognized Mind Mapping Product with a solid reputation among the mind mapping Community. The first version was released in 2001 and the latest (MindGenius5), on June 2013. 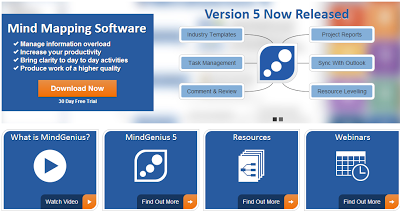 In my Opinion, MindGenius5 is primarily a Business Productivity Tool. It really helps improving your daily work with key features such as Gantt View, integration with Microsoft Office and Microsoft Outlook task synchronization. In addition, MindGenius5 provides numerous high quality templates for Project Management, Strategy Planning and so on. You can check out a screenshot of the template panel on the left side (click on the image to enlarge it). If what you need is a Mind Mapping Creativity Tool, MindGenius5 may not be the best choice. But if what you need is a solid Mind Mapping Productivity Tool, MindGenius5 meets the highest quality standards: excellent User Interface, integration with Microsoft Office, lots of useful templates, Presentation Mode, Brainstorming Mode and dedicated 100% compatible iPad App.